Announced at last week’s C2E2 in Chicago, Gates (also the author of Destination Truth: Memoirs of a Monster Hunter) will begin advertising dinners to be held across the world as a way to give back to fans, and to expose them to the adventures of travel. Once a location is revealed via social media, Gates will foot the bill for the meal and guide a short tour to anyone who chooses to hop on a plane, train or automobile to get there. Moreover, he will select a random fan and use his miles to cover their flight. According to Gates, people are looking for adventures and want to get out into the unknown, and “Destination Dinner” is his way of providing that for his supporters. The project will be launching Summer 2012, which is when Season Five of Destination Truth premieres, but Gates said this is a standalone, side project not affiliated with Syfy. Q: First off, how many miles do you have at this point? Are we at the George Clooney/ “Ryan Bingham” Up in the Air goal of 10 million? A: I don’t know that I’m quite at the “Ryan Bingham”/George Clooney “I’m going to get on a plane and never come home” point. But let’s say it’s a healthy round number. A: Uh … healthy round number [laughs]. A lot. Q: This is really going to put a dent in those miles, right? A: It really is. I’m really a hoarder of those miles. Just like in that movie - which really struck a chord in me. He has that really great moment in the restaurant where he’s with the girl, and he says it’s about the miles, not about using them. It’s something to collect, almost. So I really approached it that way. I’ve collected them just for the sake of collecting them, and even had opportunities to use them but bought tickets instead just to not dip into the collection. But I have reached the point where I came to a realization that I have a lot of these miles because of the show, because of the fans. It sounds a little saccharine but I really believe that, and I feel like I want to share them. Q: But how did this particular idea come about? A: One of the questions I get all the time is, “How can we be on the show, and how can we get involved to travel?” and, “Do you take applications?” It’s something we’ve known for a long time that people wanted to do but we just haven’t been able to make it happen as part of the show. So I’m just thrilled to be able to announce it as something I’m doing personally. Who knows what guests will show up to dinner? A: For me, I’ve had an unusual bit of downtime. I’ve been traveling nonstop for the past four years but we had this little hiatus between Season Four and Season Five, and I’ve had more time to meet fans and more time to hearing and reading what they’re sending us. 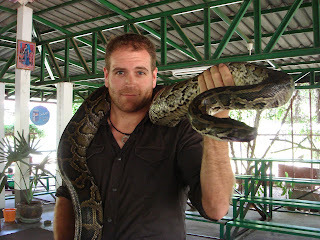 One of the things at the core of Destination Truth is to make people excited about the idea of travel. We always say we want people to feel like they’re out in the field with us. But reading all this fan feedback, I realized – as much as people really love the show – there is an opportunity here to actually get them out in the world. The time just seemed right for it. Q: You’re obviously passionate about travel, but why is it so important to spread that passion to fans to the point of, “Hey, here’s a dinner on me”? A: To me, travel is something that people should think of as vital. I think of travel the same way as I think of diet, exercise, education. It’s a muscle people need to exercise. If I can get people excited and physically out there in the world, then I’d love to keep doing it. Q: So you are going to be the Richard Simmons of travel? A: [laughs] That’s a funny way of putting it! 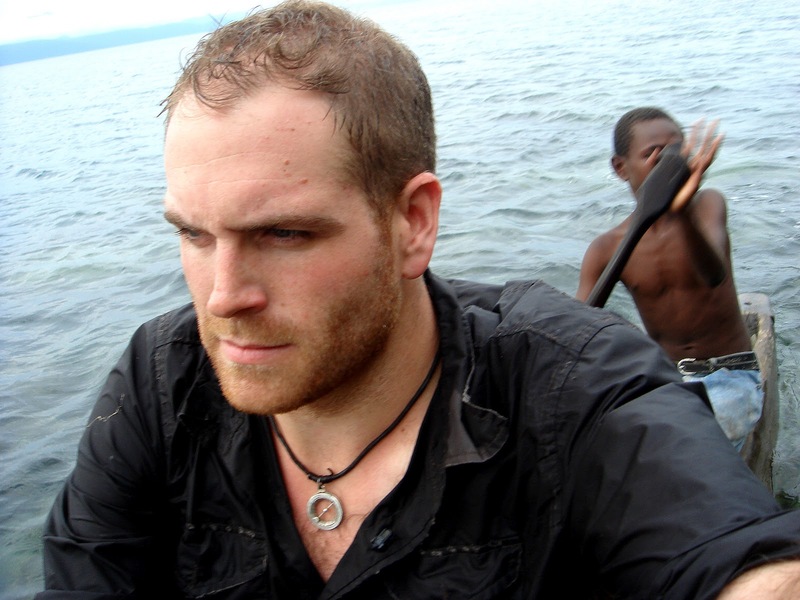 My goal on Destination Truth has always been for people to come away from episodes feeling like they had been exposed to a story, place, culture they didn’t know as much about before. I’m also trying to plant that seed for people to have their own adventures. So if I can do that in a very literal way and actually break bread with someone overseas, show them around, that would be an immediately gratifying way to accomplish that. Q: When is the first dinner? A: It will happen sometime this summer; I don’t know exactly when. That will be part of the fun of it. I have to figure out where we do these things. I have some really good ideas, and I wanted to do it in a way that anybody could come. I don’t want it where just one person wins this thing, so it’s not a Golden Ticket kind of situation. If people are really serious about travel, really excited about going out in the field, I want to give them the opportunity to have a really unusual travel adventure – and then give them the benefit of my knowledge and experience of the places they’re going to happen in. We’ll share a meal with them - give back - to them and guide a little tour for them. I recognize not everyone will be able to afford that, so I’m going to use my miles to bring someone out to each dinner as a way of saying thank you to the fans. Q: Logistically, how will you get the winner to the destination? A: The way this will work is I’ll advertise over Twitter with a time, date and place. Depending on the venue, it will be anybody that can make it there is free to come. Or if it’s a limited venue – at a restaurant or something like that – we’ll figure out a registration. Before the trip happens, I’ll do a draw based on followers on Twitter for one person. We’ll have to figure out that lottery system. I’ll publish the dates, and if people can commit to those dates, then we’ll do a draw and whoever gets drawn at random will have an opportunity to fly out there. Q: How much notice ahead of time will you post details? A: It will depend. We also have to see how successful this is, but my aim is to do a couple different things. I’d love to do a long-lead dinner where we advertise the date well ahead of time so people can figure out vacation time, booking a ticket, things like that. It might also be, “Hey, this is going to happen in a week.” It may also be domestic. Maybe I’ll try to organize some things in the States so it will be more accessible to our fans in America. It will be a combination of those things. One of the real fun aspects of Destination Truth is the fun, wacky, improvised nature of travel. That’s something I hope to replicate. In order for people to come to these things and have that experience, they’ll have to put themselves in the position of taking a leap and doing something unconventional. Q: How many dinners will there be? A: My initial goal is to do at least one very exotic location, then something a little less exotic, then something domestic. We’ll see how those three go, and play it by ear. I have a real passion for travel, and a real passion for sharing my experiences in these places with our viewers. If I can organize something like this, and people show up – if people grab a passport, get on a plane, go to an exotic location to get out of their element and experience something different – I’ll keep doing it. Q: Will the destinations be mainly from the show or from your own personal experiences? A: It will be a combination. Certainly it won’t be part of Destination Truth. I won’t be able to bring people out in the field as part of the show. But we’ve made really terrific contacts over the years from DT, and have certainly steered the show to places very special to me. So there will be some overlap there in terms of locations. 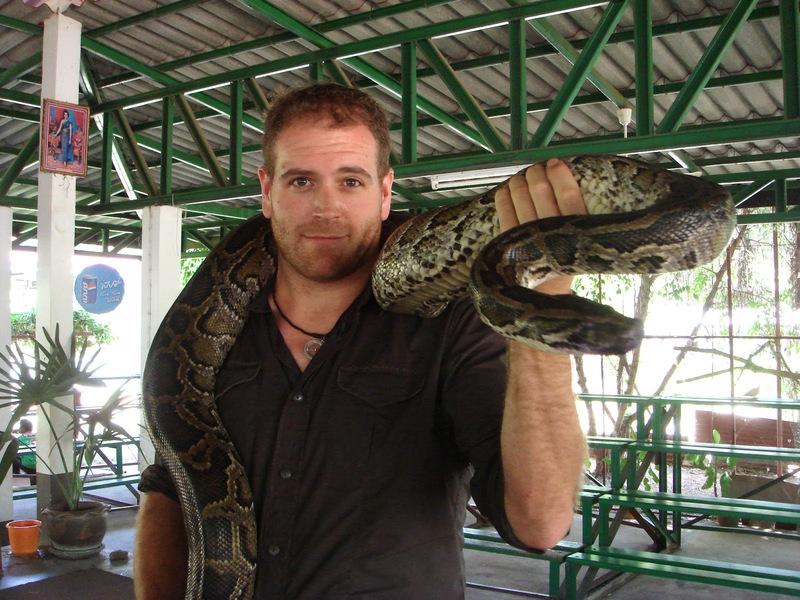 Q: But this isn’t the Josh Gates Supernatural Experience Tour? It is less about paranormal and monsters, and more about travel? A: Yes, for sure. If I can arrange a paranormal/ghost-hunt experience, I’d love to do that. But if people are going to get on a plane and go overseas, and put themselves in this totally new environment, they need to be in it for the travel. I think they will be. If they decide to go halfway around the world for dinner, they need to be someone willing to take a risk, and excited about having an unconventional experience. The idea of tying it into a monster hunt is interesting, and I’d love to be able to do that. Maybe down the road, we will. The locales could be anywhere. Courtesy Syfy. Q: What will the menus actually be like? A: In a general sense, when we travel for the show, there’s been all sorts of gross foods and challenging foods – but what we don’t film often is the crew just having dinner. We have had these amazing nights over the past four years where you just end up - whether it’s in a city or in the middle of nowhere - with the locals, sitting down and breaking bread. Those are some of the most special moments in my memory from my travels. So I’d like to find places that are unique, beautiful settings and interesting places. But not gross foods. I don’t want to invite people around the world just to gross them out. I want them to eat amazing foods and dig into these local cuisines around the world. And I hope to have people at the dinners who are friends of mine from around the world. If we’re eating in the deserts of Jordan, I hope that we have some locals and Bedouins to talk about the food, and to guide us through the experience. That’s some of the most special moments of travel: When you get to the local level where you’re just experiencing what the people who live there experience. Q: Will you announce cuisine in advance so people can decide whether they want to throw their hat in the ring or perhaps wait for a menu more suitable for them? A: I don’t know; if people are that picky about eating, they may not be the best candidate for this project. Any sort of travel requires a degree of openness to the location, people and food. Wherever it is, we’ll have lots of options, but we’re looking for people who are ready for a good adventure. Q: You’re a big movie buff, so will there be any pop-culture-centric locales? Will there be dinner on Martha’s Vineyard where Jaws was filmed? A: Man, you should start planning these things with me. You’re full of great ideas! [laughs]. I hadn’t really thought of that angle, but now that you bring it up, I think it’s a terrific idea. For me, my first instinct is to find a really special destination. Finding some neat destinations locally might tie in really well with that. Q: Are you pitching this as a show, and will you be filming this to put together a show? A: Initially I’d like to ask the people who come to document it themselves. I’m not pitching it as a show, and I don’t have an ulterior motive to get it on the air as a project. This is very experimental. The feedback in the last less-than-24 hours has been unbelievable. People are contacting me, left and right, saying how excited they are about it. I’ve had so many people say, “I’m doing this, I’m saving my money, I’m putting together a travel fund.” I am really hopeful that it is successful. If it is, and people have special experiences that come out of it … then maybe. I’m certainly open to that because there’s nothing more fascinating than exposing people to travel and new experiences outside their comfort zone.